This is quite true – because unless the horse both thinks that that being hydrated is important to life and it feels thirsty, it is highly unlikely that it will drink. We do many things because of how we feel and how we feel is usually driven by how we think. There is significant research data indicating that how we think has a powerful influence on how we feel and, in turn, our behaviour. Negative thoughts, lead to negative feelings and, unsurprisingly, often to destructive behaviour. These are how limiting beliefs are formed. Cold calling is a fantastic example is sales. Many people ‘think’ cold calling doesn’t work, usually because they haven’t had success in the past (or, others have told them so). As a result, they don’t feel overly enthusiastic about doing it and the act of doing it usually meets this expectation as a result. This initial limiting belief affects the outcome even before they’ve even started. As hard as it is, you need to negate this thinking before even considering making the call. It is no coincidence that cold call success is largely determined by confidence rather than process. Simiarly, the reverse is true – positivity in our thinking tends to result in positive behaviour. This thinking has revolutionised how we approach sport. Nearly all top level sports people now engage with mental and motivational coaches as much as they do with technical coach. The power of visualisation, the belief in the outcome, is now understood to be a critical factor in that outcome being successful. Look at the placebo effect in medicine as another, extreme and largely unexplainable, example. This becomes circuitous – because our thinking creates our feelings which drive our behaviour, which then reinforces our thinking and so the cycle continues. In some situations we encounter, we are automatically confident because our experience has been dominated by positive outcomes and, in others, we aren’t so confident because we’ve likely had less successes. Those of us who stand on golf tees know this feeling well. From a sales perspective, much time is given to working on our limiting beliefs. We work individually, with mentors and in teams to try to eradicate our negative sales thoughts. We practice our processes and pitches to ensure we have confidence. We learn our product knowledge etc. Now, let’s extrapolate this out. If what you think affects how you feel and this, in turn, affects how you act – how does this apply in a sales context. Of course, we need to think positively so we feel and act accordingly. But we are only one side of the equation. Sales would be easy if all we had to do was manage our thought process but we have another party involved – our client. Too often in sales we focus on how we want the client to act – as in say yes, sign the dotted line etc. Medical research suggest this act is predicated by how the feel and before this what they think. We need to address our sales presentations and focus differently. We can’t control how our clients act, but we can influence how they think and feel. This should, in turn, influence how they act. 1. What do I want them to think? 2. What do I want them to feel? For example, if you identify the client has a problem – but they don’t think they do and don’t feel the discomfort of that problem and the relief of a solution – how are you going to motivate them to act. People buy because the purchase resolves or reinforces a feeling, which is driven by a thought. Very few transactions, if any, are driven solely by the act. Where what they feel they need or want isn’t actually what you would advise them they need. If you can’t shift their thinking to feel that your solution is actually what they need, you are going to encounter resistance when it comes to acting on the sale. Where the opportunity or challenge you’ve identified with is currently unrealised by the client. In this situation, unless the clients thinks there is an opportunity worth capturing or challenge worth reducing they won’t feel the potential anxiety of leaving it uncaptured or mitigated, so just won’t act. There are other macro aspects to thoughts and feelings in sales as well. Some sales people, businesses and industries are negatively viewed by clients even before you walk in the door. Before you can even move them towards talking about a sales opportunity, you need to ensure you are aware how they think and feel about you. If they don’t think you are credible, authentic and sincere – they won’t feel like they can trust you and rely on you – how will they act? 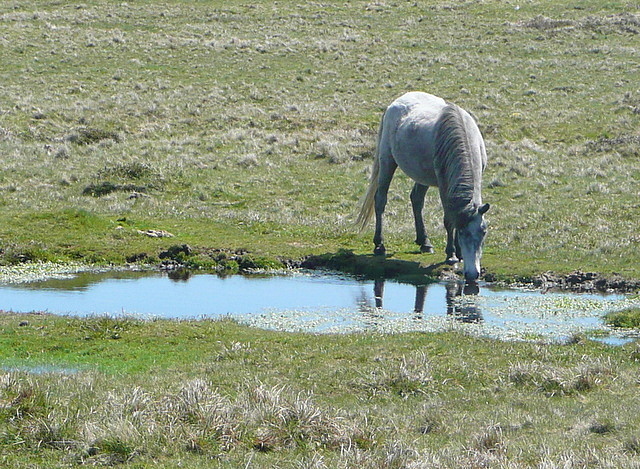 The ‘leading a horse’ to water is an important metaphor for sales. Unless we know our clients think they have an opportunity or problem and feel the benefit of capturing or mitigating it, you can spend a lot of time on the riverbank. Next Sales: A Conscious Career Choice?